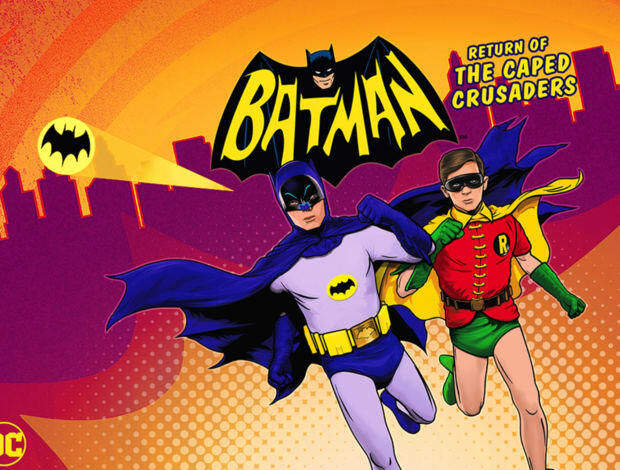 Did you ever in your wildest dreams think we'd get a new episode of the 1960s version of Batman, 51 years later? We know we didn't, but that's what we got with Batman: Return of the Caped Crusaders . It's a new animated movie based on the classic comedic version of Batman. It even has the voices of the surviving cast of the old show, Julie Newmar, Burt Ward, and Adam West (one of his last performances before he passed away). And as the trailer proves, it's just as campy and wacky as ever. Yes, Batman is trapped in a giant TV dinner. And yes, the giant oven has a sign on it that says "Giant Oven." We don't deserve something so perfect. Would you watch Batman: Return of the Caped Crusaders? The thing my brother mentioned is because the voice actors are all older the voices don't quite sound right compared to 1966. There's supposed to be a second one with Bill Shatner as Two-Face though I'm not sure if it was finished before Adam West passed.